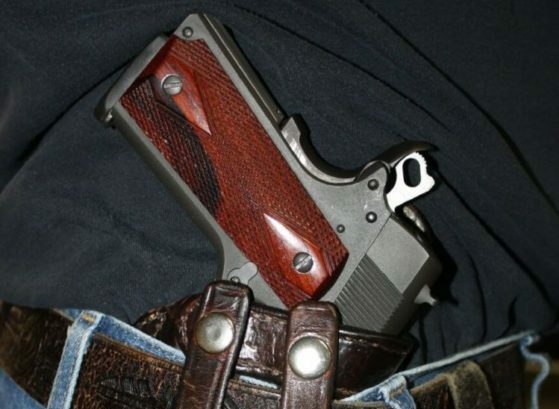 The U.S. Court of Appeals for the District of Columbia has issued a permanent injunction against enforcement of a “good reason” requirement to obtain a concealed carry permit, with a 31-page ruling that contains some stunning language that should send a warning to other jurisdictions with similar rules. Tuesday’s 2-1 decision is another court victory for the Second Amendment Foundation in a case called Wrenn v. District of Columbia. The ruling was authored by Judge Thomas Beall Griffith, a 2005 George W. Bush appointee. He was joined by Senior Judge Stephen F. Williams, a 1986 Ronald Reagan appointee who assumed senior status in 2001. Judge Karen LeCraft Henderson, a 1990 George H.W. Bush appointee, dissented. The ruling also applies in the separate case of Grace v. District of Columbia, supported by the National Rifle Association. SAF founder and Executive Vice President Alan M. Gottlieb remarked, “Black robes matter.” It was a reference to the importance of who occupies the Oval Office, because that person makes nominations to the federal courts. It is also important which party controls the U.S. Senate, where judicial nominations are confirmed. The ruling also said that the District’s “good cause” requirement was essentially designed to prevent the exercise of the right to bear arms by most District residents. Thus, it amounts to a complete prohibition, which would not stand up under the Heller ruling. This may not be the last word in this case, however. There is the possibility of an appeal or a request for an en banc (full court) hearing. If this case winds up before the Supreme Court, it would provide the high court with the opportunity to further define the parameters of the right to keep and bear arms.